When comparing prices on aerial platform lift rentals in Santa Cruz, San Jose and Hollister, ask about sales tax and environmental fees. 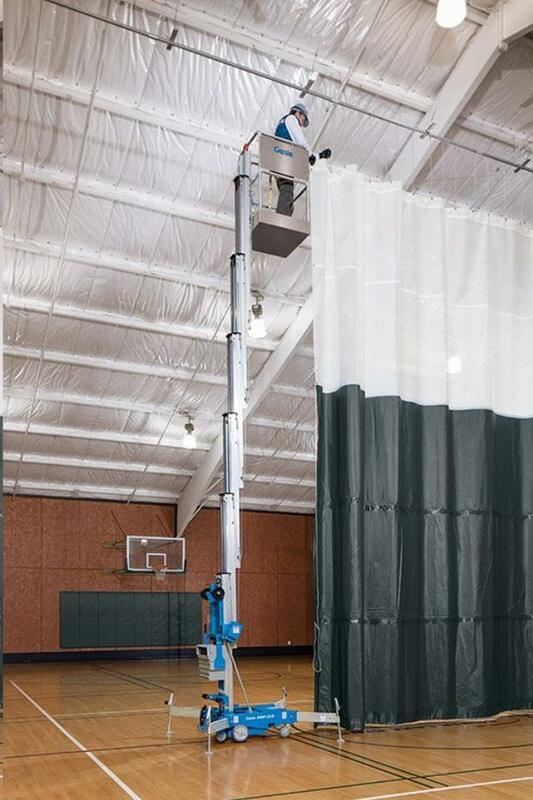 Portable Genie Super Series aerial work platforms are simple for one person to set up in minutes. A durable, lightweight design and compact size make them ideal personnel lifts for rental, light-duty construction and maintenance. These units roll through standard doorways and are simple to load in a pickup truck. An exclusive rocker base system maneuvers around corners and over thresholds and debris. 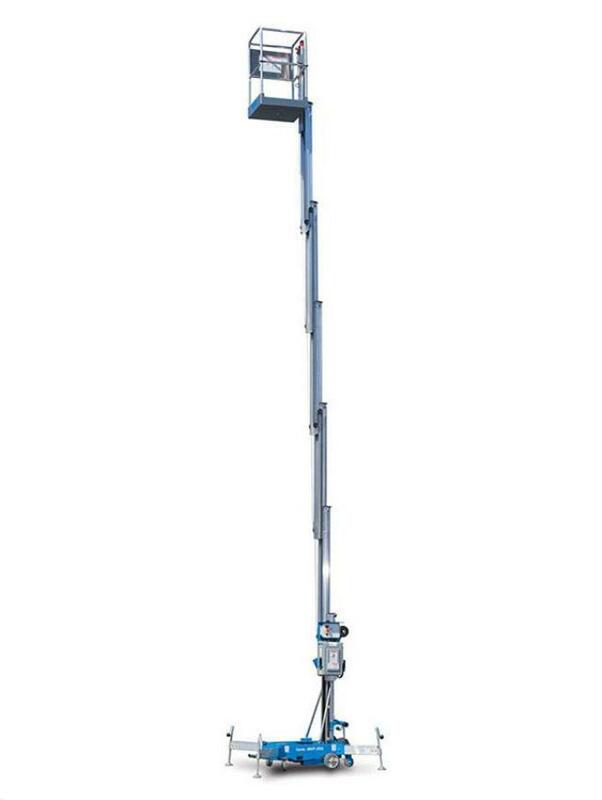 The patented rigid mast system offers user comfort and stability at working heights. Other features include ground and platform controls with auxiliary platform lowering for use in the event of a power outage. 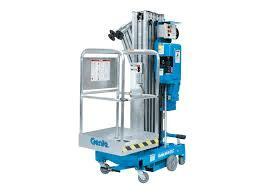 A new Safety Harness is issued with every personnel lift rental as a sale item only. If you already have your own, you may return any unopened packages for a full refund at the completion of the rental. * Please call us for any questions on our 30 foot genie awp aerial platform lift rentals in San Jose, Campbell, Salinas, Santa Cruz, Watsonville, Morgan Hill, Hollister, Santa Clara, Gilroy, Milpitas Sunnyvale, Fremont, Salinas, the Greater Bay Area and the Monterey Peninsula.